Y&R New Zealand won big at last night's D&AD Awards as UK start-up, What3Words, took home one of the evening's two coveted black Pencils. Steve Henry, the co-founder of Decoded and a founding partner of defunct agency HHCL, was presented with the President’s Award at the show, at Battersea’s Evolution last night (19 May). D&AD president Andy Sandoz said: "Steve Henry’s work and approach has inspired, shaken and awoken a generation of today’s creative directors. Populist TV, diversity, tech start-up, purpose and education – it’s all here. As engaged today as ever, he’s the person I most enjoy trying to re-imagine the industry with over a cup of tea." What3Words was the most awarded design-based company at the awards ceremony. The UK start-up won a black pencil and two wood pencils for "the world addressed", a website that allows people to search for any location on the planet (accurate to within three square meters) by typing three different words. D&AD also introduced two new categories into its awards in 2016, media and PR. 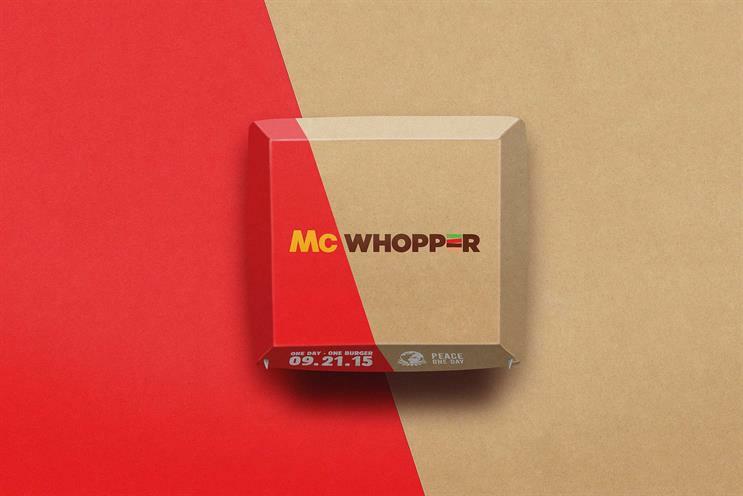 Agency Miami and Leo Burnett Solutions were awarded Yellow Pencils in media, for the "McWhopper" campaign and Asiri's "the world's first soap bus ticket", respectively.